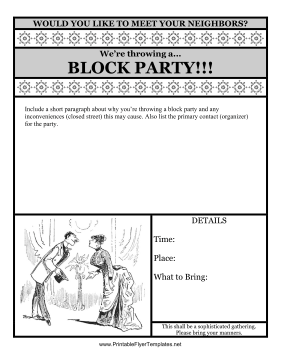 This black and white block party flyer is ideal for a fun neighborhood gathering. It includes lacy decorations and humorous vintage imagery. Space for the time, place, and description of the event are also provided. If you want an eye-catching block party flyer without spending money on color printing, this is a great choice.